What do you do when you don't have a home or a family to call your own anymore? 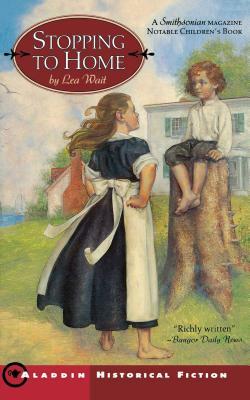 Eleven-year-old Abigail is not entirely sure how she'll do it, but after losing her mother to smallpox and her father to the sea, she knows that it is up to her to build a new life for herself and her little brother, Seth. But carving a future out of the harsh realities of life in Wiscasset, a nineteenth-century Maine seaport, proves difficult, and Abigail fears that there will always be more questions than answers. How long will they be able to stay and work for the young Widow Chase? Will Seth be able to let go of the past? As the months roll by like waves on the sea, Abigail searches tirelessly for a solution and for an answer to the question she holds most dear: Will they ever find a place to call home again?